The 2019 GINA strategy report represents the most significant change in asthma management in over 30 years. 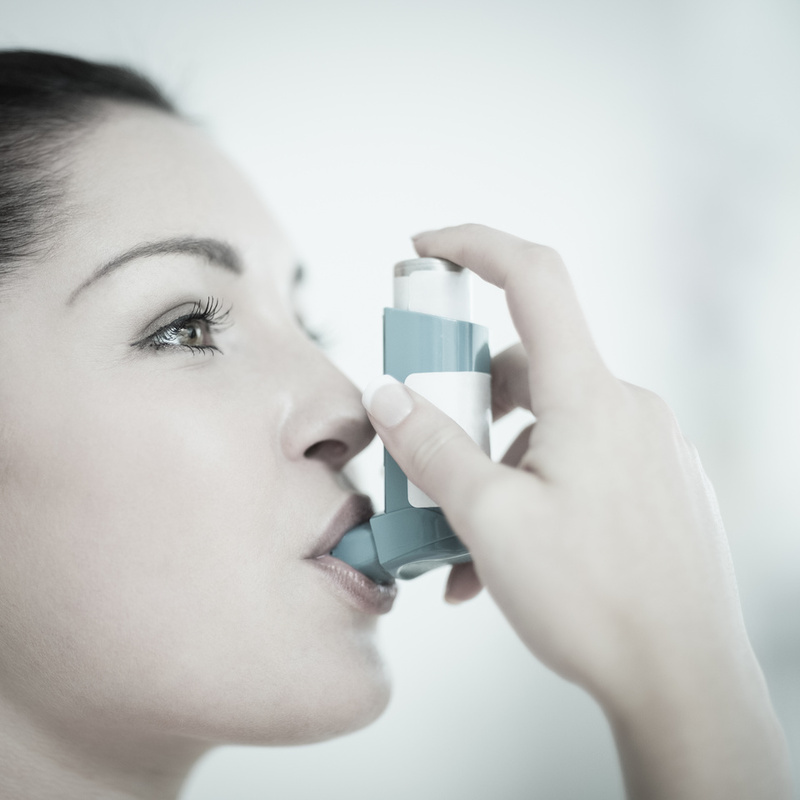 The key changes in GINA 2019 are first, that for safety, GINA no longer recommends starting treatment of asthma with short-acting beta2-agonist reliever inhalers on their own. Instead, GINA recommends that all adults and adolescents with asthma should receive either symptom-driven (for mild asthma) or daily inhaled anti-inflammatory controller treatment, to reduce their risk of serious exacerbations and to control symptoms. A summary of the changes implemented in 2019, and the evidence and rationale supporting them, can be found starting on page 16 of the GINA 2019 Pocket Guide, or by downloading the “What’s new in GINA 2019?” slide set, also found at www.ginasthma.org/reports. The full GINA 2019 report, which contains multiple practical resources for clinicians, and the 2019 online Appendix, will be available shortly. The GINA Pocket Guide on the “Diagnosis and Management of Difficult-to-treat and Severe Asthma in adolescent and adult patients” has proved extremely popular in both hard copy and pdf format since it was first published in November 2018. The Pocket Guide provides practical evidence-based advice for clinicians in both low and high income countries about how to assess and treat patients for whom conventional asthma therapies don’t seem to be working, and about how treatment strategies, including biologic therapies if available, can be implemented into patient care. The second version of this Pocket Guide includes important additions to the treatment algorithm for severe asthma, including the availability of an additional biologic treatment (dupilumab, an antibody against interleukin-4 receptor alpha), and advice about extension of a treatment trial of biologic therapy to 6-12 months if the initial response is unclear. Doctors should school up on costs of asthma drugs to help Australians with the breathing condition access better value medications, new research has found. A study by Woolcock Institute of Medical Research in Sydney has found that many patients aren’t well informed about which treatment choices are low-cost. The work, based on interviews with dozens of asthma patients, was published today in the Australian and New Zealand Journal of Public Health. About 2.3 million Australians have asthma but relatively few use well manage their condition with daily use of an anti-inflammatory preventer inhaler as recommended in national guidelines. Studied show adherence is as low as 16 percent for those aged 35 to 64, and just seven per cent for younger adults. “Those with poorly managed asthma are more likely to have severe exacerbations, ER department visits and hospital stays, so it’s vitally important we understand what is stopping people taking their medication,” Dr Davis says. Researchers conducted in-depth interviews with 24 adults with asthma and 20 carers of children with the condition. They found that while most appreciated the benefits of regular preventer use, many didn’t take their preventer regularly, for various reasons. In their findings, researchers encouraged patients to take a more proactive role with their health care professional, seeking information on medication options, costs, benefit and potential side effects. Importantly, the paper also encourages GPs to study up on options and actively engage patients in discussions around the right choices. In many cases, doctors could inform patients about a lower-cost alternative preventer inhaler option. “If our patients are more empowered and informed they’re more likely to fill their scripts and take their medication regularly, and live life with better managed asthma,” Dr Davis says. The study was carried out in collaboration with University of Sydney, University of Wollongong, Asthma Australia and NPS Medicinewise. Three top Woolcock scientists have been awarded national honours for their trailblazing work in the fields of asthma, lung medicine and sleep research. Executive Director Professor Carol Armour, Sleep and Circadian Research Group Leader Professor Ron Grunstein and Board Member Professor Matthew Peters have each been made a Member of the Order of Australia for significant services to medical education in the 2019 Honours list. Professor Armour’s honour was awarded for her significant service to medical education, and to asthma management. She has headed up the Woolcock since 2012 and also holds positions with the Sydney Medical School, the National Health and Medical Research Council (NHMRC) and the National Asthma Council. An internationally renowned respiratory pharmacologist, Professor Armour is author, co-author or editor of approximately 200 scientific articles. Professor Grunstein was recognised for his significant service to medical education and research in the field of sleep disorders. He also holds a role with the NHMRC and the Cooperative Research Centre for Alertness, Safety and Productivity. A pioneer in the field of sleep medicine, Professor Grunstein has published more than 300 peer reviewed articles and 41 book chapters throughout his career. Professor Peters’ award honours his significant service to thoracic medicine, to medical education, and to professional organisations. Aside from sitting on the Woolcock board, he has roles with Macquarie University, the Thoracic Society of Australia and New Zealand and the Global Lung Cancer Coalition. The Woolcock congratulates its esteemed colleagues on their achievement. Breathless patients often present a clinical challenge for doctors. Is it the heart or the lungs behind the complaint, or perhaps it’s the muscles, or even the brain? To tackle this common and complex clinical problem, the Woolcock Institute of Medical Research in Sydney has launched a Breathlessness Clinic. Its mission is to make a doctor’s job easier by fast tracking a diagnosis for this worrying, anxiety-inducing complaint. Woolcock respiratory physician Dr Tracy Smith said breathlessness, or dyspnoea, is one of the most common reasons Australians call an ambulance. Despite this, too few patients are able to get their breathlessness problem resolved quickly. “Breathless patients are often referred to a respiratory physician or a cardiologist first, only to be sent to the other specialist later,” Dr Smith said. “This process can be time-consuming and frustrating for all involved. “On top of that, treatment recommendations for conditions which can lead to breathlessness are constantly changing, and there are few clinical guidelines to help specialists manage problems which affect more than one organ system, for instance patients with both heart and lung disease,” she explained. The Woolcock Breathlessness Clinic seeks to solve this problem with a new and innovative model of care. Under this multispecialty approach, patients see a cardiologist and a respiratory physician at the same time to allow rapid, comprehensive assessment. “Our ultimate goal is to help patients identify their treatment options as quickly as possible so they can get back to living a healthy, fulfilled life,” she said. GPs can download referral forms online at www.woolcock.org.au/referral or email the Woolcock on info@woolcock.org.au to request a referral pad. The Woolcock Clinic closes for the festive season from midday on Friday, 21 December 2018 and re-opens at 8am on Wednesday, 2 January 2019. The last night of sleep studies will be held on Friday, 14 December 2018, starting up again on 2 January 2019. The Woolcock NeuroSleep Clinic in Camperdown will be closed from Wednesday, 19 December 2018 and will reopen on Wednesday, 14 January 2019. Merry Christmas and Happy Holidays from all of us! Ms Lillian Leigh at the Woolcock Centre for Lung Cancer Research launch on Wednesday, 18 April 2018. Lillian Leigh gives thanks for every extra day she gets. The 37-year-old Sydney mother is living with lung cancer, a deadly disease for which there is no cure and few effective treatments. But thanks to drug trials, her tumours have shrunk, her energy has returned and she’s been given the chance to see her daughter start kindy. Lillian has thrown her support behind NSW’s first lung cancer centre dedicated to finding new treatments and ultimately a cure for the disease with the highest mortality rate of any cancer. The Centre for Lung Cancer Research, run from the Woolcock Institute of Medical Research in Sydney, will shine a spotlight on the condition that is so often neglected by funders and hidden behind the banners of ‘no smoking’ campaigns. Its opening ushers in a new era of lung cancer research to extend the lives of the 12,000 Australians – many young, fit and non-smoking - who are diagnosed with the condition every year. The Centre, which opened on Wednesday, 18 April, will work to lift the profile of the disease, sending a clear message to funders, policy makers and the public that the lung cancer battle is a worthy cause, just like every other cancer. The Centre for Lung Cancer Research will support large-scale research projects run from its high-tech purpose-built Glebe facilities, and act as a hub for a network of researchers, clinicians, respiratory physicians, oncologists, radiologists, thoracic surgeons and advocates for lung cancer. It’s high-tech laboratory, database and bio-bank will allow an unprecedented level of information sharing, ensuring patients get to benefit from new discoveries quicker than ever before. Several projects are already underway, including work to develop non-invasive diagnosis, innovative drug delivery and 3D-printed airway stents for patients with breathing difficulties. We are pleased to announce the opening of our Woolcock NeuroSleep Clinic in Camperdown. This clinic is a world-leading medical centre specialising in the diagnosis and treatment of sleep disorders, neurodegenerative and/or mental health problems. Are all scientists just geeks in lab coats? What do they do every day? How do I become a medical researcher? We invite you to join world class researchers from the Woolcock to learn more about sleep and breathing disorders and how scientists are working today to better understand and treat them. Read our latest news in sleep and respiratory research here. It wasn’t always easy for me. As a child, I was very shy and often not alert in class. I can’t tell you whether that had anything to do with a disorder or what, but had there been more awareness in terms of paediatric sleep disorder, I think, my parents would have done their best to address some of the difficulties I had during my childhood. As well as serving The Union as Vice President, a position to which Guy was elected in November 2014, he is also Professor of Respiratory Medicine at the Woolcock Institute of Medical Research & University of New South Wales and Honorary Professor of Medicine at the University of Sydney. Do you have sleepy teenagers at your school or at home? Come along to our sleep education seminar here at the Woolcock Institute on Tuesday, 3 May. Air pollution from all sources is capable of adversely affecting Sydney-siders, a comprehensive review of the health effects of particles in air pollution has confirmed. A big thank you to everyone who came along on World TB Day to celebrate Dr Paul Mason's book launch. As seen on Channel 7 News. Do you have problems getting to sleep or staying asleep? Then we invite you to participate in a research study. Would you like to be interviewed for SBS Insight program?